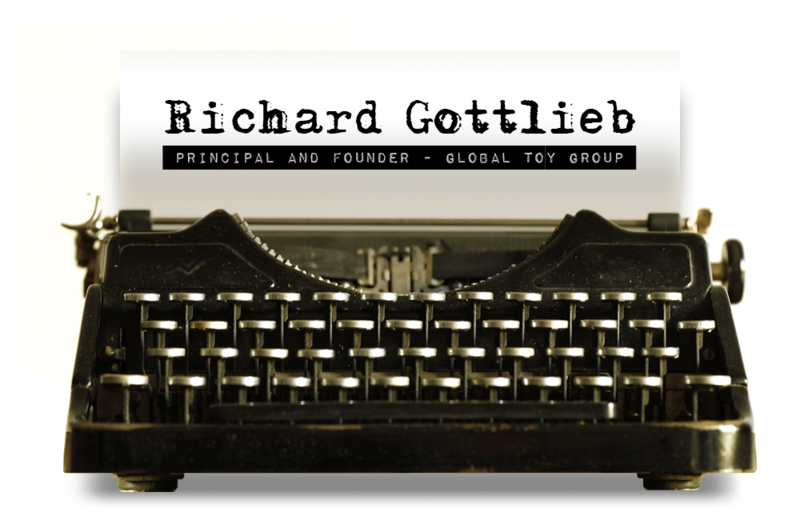 As Principal and Founder of the Global Toy Group, Richard Gottlieb has a finger on the pulse of the toy and play industries. He’s a popular industry commentator and an outspoken proponent of the importance of play in our lives. On this edition of The Friday Five, we ask Richard about trends in the industry and how he sees technology affecting how we play. You’ve been involved in the toy industry for over 20 years. What keeps you so passionate about this industry? Because we engage in shaping the future. Toys are essential in developing children’s latent talents and a sense of aspiration. You can in many cases draw a straight line from an early enthusiasm (ex: a Lego player) to a career (ex: architect). Over those 20 years, we’ve seen an increase in toys with a technology component. With technology becoming integrated into so many of today’s toys, what role do non-tech toys play in the industry these days? Is the board game dead? Nothing is dead, everything is alive. Children today, and adults for that matter, have a continuum of tools of play from the physical to the phygital to the digital. All play a role. Board games and all physical toys provide a vital kinesthetic experience and board games serve the same function as the fireplace once did…a place to get warm (emotionally in this case) with the people you love. How is play different across the globe? In North America, we’re seeing an increase in convergence play (physical and digital elements). What’s happening in other nations? It is happening everywhere. The biggest difference between European (particularly central European) and American toys is that the former see toys as an investment. They are buying for a legacy rather than the landfill. How is the advent of 3D printers affecting the toy industry? At this point it is an interesting niche. We still have a way to go before it has an impact. As you know, the National Toy Hall of Fame recently opened a new exhibit to the public. What toys out there today will be candidates for the Hall in a decade? Great question and one I asked myself the other day. My answer to me was that we don’t know something is great until the people tell us so…and that takes decades. You can find Richard on Twitter at @RichardGottlieb. Visit his website Global Toy Experts to stay informed about all things toy and play. The Toy Association supports businesses that design, manufacture, and deliver entertainment products and advocates for the rights of factory workers and the health of children. Steve Pasierb explains the role of the Association in the $26 billion toy industry. Olivia Wasilewski and Brynna Siewers are the 2016 winners of the Young Inventor Challenge, an international competition held at annually at ChiTAG. They talk about their experience at the event and provide a glimpse into what it's like to invent a game.